Over the past ten days, Dan and I put 1500 miles on a hardy little Ford Fusion rental as we toured a bunch of national parks throughout Arizona and Utah. We started in Phoenix and wound our way up the Colorado and Green rivers, through the Grand Canyon and Monument Valley before scaling a few mountains at Canyonlands and Arches. Though we managed to down a fair amount of local specialties (incredible green and red chile sauce at 15.Quince in Jerome, AZ, Grand Canyon Sunset Amber Ale brewed in Williams, AZ, and way too much Navajo frybread over two nights in Monument Valley), by the time we pulled into Moab, Utah, we were more than a little weary of the typical soup, salad, and faux steakhouse menus encountered along the way. 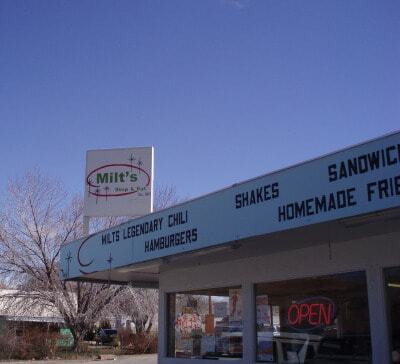 Thank God for Milt’s Stop and Eat, a few blocks off Moab’s main drag. The eponymous Milt Galbraith, who opened the place in 1954, retired from his spot behind the griddle years ago, but the menu and decor has been thankfully well-preserved (prices more or less intact) by his successors. 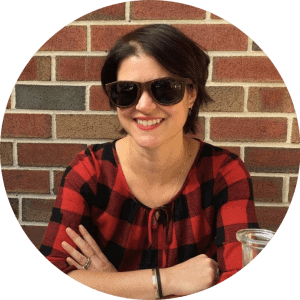 It’s a place where everyone is a regular, where cyclists, rock climbers, and the town’s everyday adventurers stop by to BS with owner BC Laprade, who mans the grill with a laconic drawl and a steady stream of chatter. “Hey, that’s George,” he notes as he spots a familiar face outside the wide takeout windows and immediately begins firing up a cheeseburger, no onions, cut in half. Pulling together another order for the families waiting on the sunny picnic benches outside, he shouts to us, “What flavor milkshakes are you getting?” The upsell works; I go for a chocolate malt and when I tell him we need to climb a mountain immediately after lunch, he orders his helper to make it extra thick. 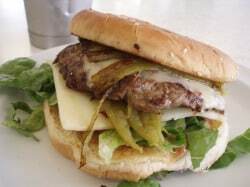 In a few minutes, he’s sliding my Santa Fe burger (topped with a whole blistered green chile) across the floral Formica counter and proclaiming it the “best burger I made today.” Dan is already digging in. And as I’ve mentioned, though my Hamburglar husband will eat pretty much any beef puck that comes his way, this time I have to agree with them both. The fresh, never-frozen beef is Black Angus coming straight from the heartlands of Kansas and Nebraska—I know this because I’m sitting next to the guy who supplies it, who’s stopping by to bring BC a taste of the latest ground venison. He chats about the farmers in the Dakotas who raise elk, antelope, bison, and other wild game that the good folks of Moab are happy to try on for size. The burger is smashed flat and well-charred, the buns are buttered before getting griddle-toasted alongside the meat, and the entire thing is gone in five minutes. We couldn’t bring ourselves to order the Frito pie after downing the malt, vanilla Cokes, a burger each, and a tremendous order of cheese-covered Tater Tots, but should I ever make it back to Moab, there are three must-do’s on my list: climb Aztec Butte at Canyonlands, hike through the Fiery Furnaces at Arches, and try more of the menu at Milt’s. I wonder if BC will remember me. 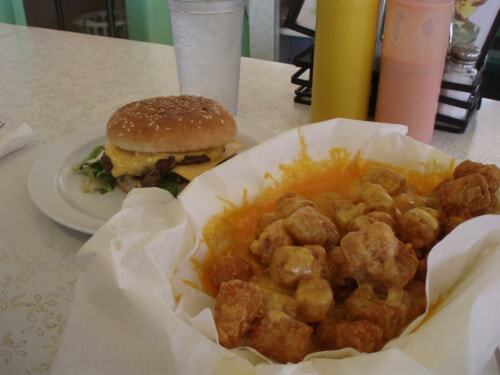 Milt’s Stop and Eat, 356 South 400 East, Moab, UT. 435-259-7424. Open Tuesday-Sunday, 11:00 am-8:00 pm.